The Frederick, MD, man convicted of arson in the firebombing of a Loudoun County probation office in Leesburg was sentenced today to serve almost 16 years in federal prison. Jonathan Ernesto Godoy, 26, in November pleaded guilty to arson affecting interstate commerce and using fire or an explosive device in the commission of a federal felony. He was sentenced to 190 months in prison. According to court documents and court testimony, Godoy was on supervised probation for possession of narcotics charges in the fall of 2012. His probation officer had threatened to declare him in violation of his release terms because of missed appointments, tampered urine samples, and positive drug tests. Godoy and a friend made two Molotov cocktails and on Nov. 12, 2012, threw them into a window of the probation office on Loudoun Street. One bottle went through a window and started a fire inside, causing $300,000 in damage and relocation costs. 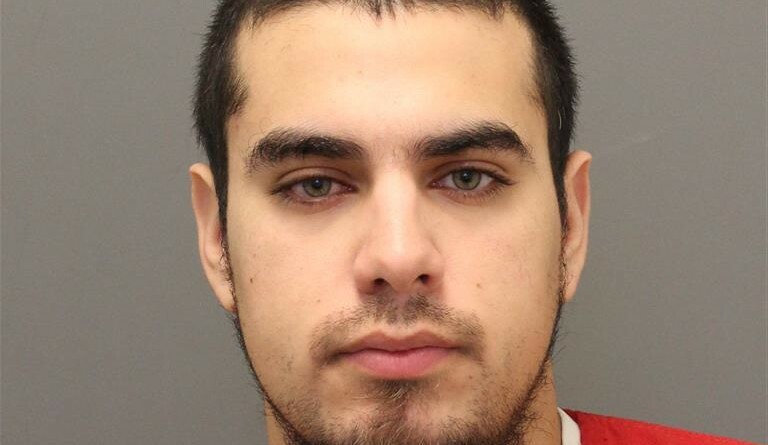 Godoy’s situation worsened while he was held in the Loudoun County Adult Detention Center. While there, in a series of recorded telephone calls and in letters, Godoy suggested that he could escape prosecution by eliminating his co-conspirator and the Loudoun County assistant fire marshal who was investigating the case. Eventually, Godoy solicited a fellow inmate to murder the two, however, the would-be assassin was cooperating as a police informant.